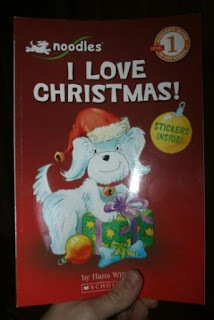 I was excited to participate by the holiday book exchange hosted by JDaniel4sMom and the Activity Mom. 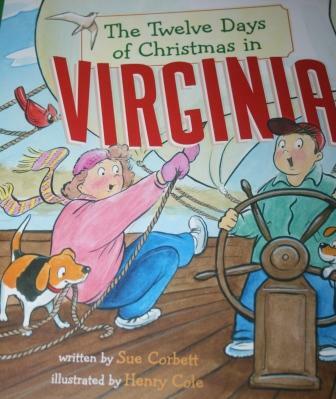 In the book, you travel all over the state of Virginia and visit the different historical landmarks. So I've been waiting for just the right kid for the book. Luckily, JDaniel4sMom was able to match me up with the right family. Stephanie lives in the Virginia Beach area and has a 9 year old son. She is not a blogger, so I can't link you up to her, but she seemed very nice in the emails we exchanged. This is perfect because it's a very early reader book. It has tons of pictures, and included stickers too! A very fun swap, and it'll be neat to remember where this book came from each year. Don't forget to enter my holiday giveaway HERE. This worked out so well. I love the book you got. The book you sent sounds wonderful too. I got a book in the mail yesterday. It is wonderful too. What a fun book you sent! Wonder if they have those for every state?? ?